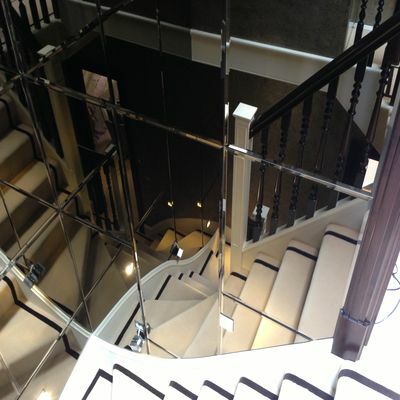 Here at Hamilton Glass Products, we pride ourselves in specializing in mirrors and our reputation in this regard is well known in not only the UK, but abroad as well. 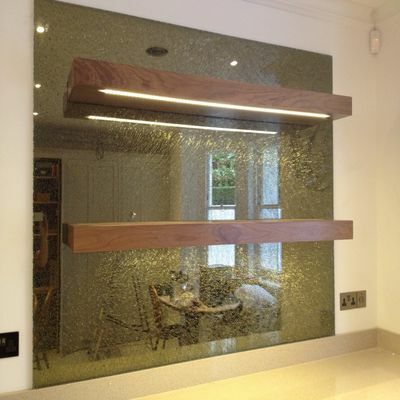 We source the highest quality product and process them into luxury mirrors for your home, office or other venue. While almost an essential item in your bathroom already, you can make any room appear more spacious by simply adding a mirror, we have range of mirrors so that you can coordinate the style of the mirror to the style of the room, we manufacture mirrors to your specifications and offer a wide variety of features such as a polished or beveled edge finish. 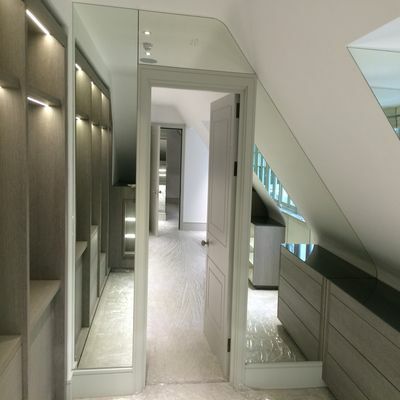 Shaped mirrors can be produced from drawings or templates we can match, copy or recreate any shape size or thickness, all of our shaped mirrors are designed to you requirements and would meet the highest finish available. Beveling is a process whereby the edges of a piece of glass are angled from a point on the surface (face) to the edge (rim). Beveling machines have two main purposes. To shape a bevel, or to repair a bevel, this is achieved by processes, referred to as roughening, smoothing, pre-polish and final polish. 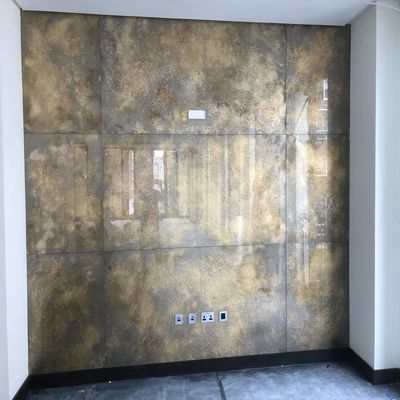 As with most glass, mirrors can be processed in a number of ways to meet individual requirements, such as drilling wholes, cutting out shapes, shaping the glass (ie radial corners) polishing the edges and many more. 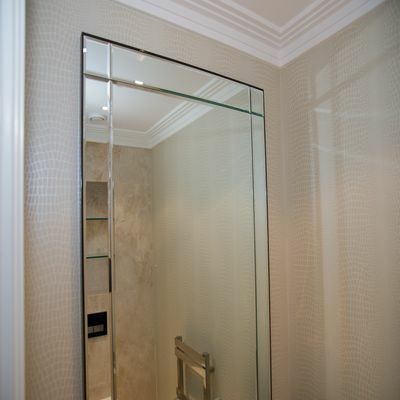 Our highly skilled glaziers are able to expertly decorate any form of glass and mirrors using a combination of techniques, colour, leading and style. 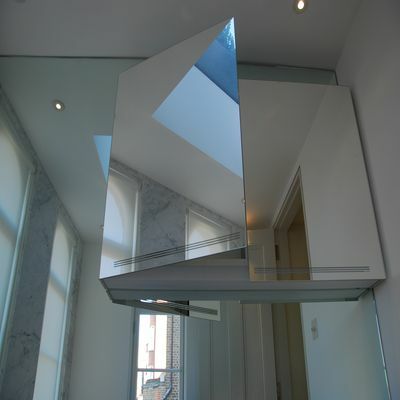 Our newest addition to our range of mirrors is the revolutionary Digital Display Mirror coating. 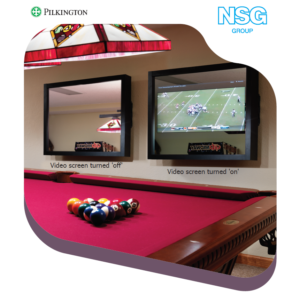 This product is ideal for concealing digital displays, such as video screens for commercial and residential applications. When the screen is turned off, the mirror maintains a mirrored appearance, which conceals the screen. When the screen is turned on the picture on the video screen shows through the mirrored coating.